« Need a Door and Hardware Installer? Ryan, I see I did not make the question very clear so I will take your answer! The question should have asked “What song title includes the name of the city where DHI HEADQUARTERS is located”. By leaving out headquarters, you probably assumed that I mean the convention. Sorry for the confusion. Your name will definitely go in the hat for a win. Do you mean where the DHI Headquarters is located? Yes, thanks for the question. 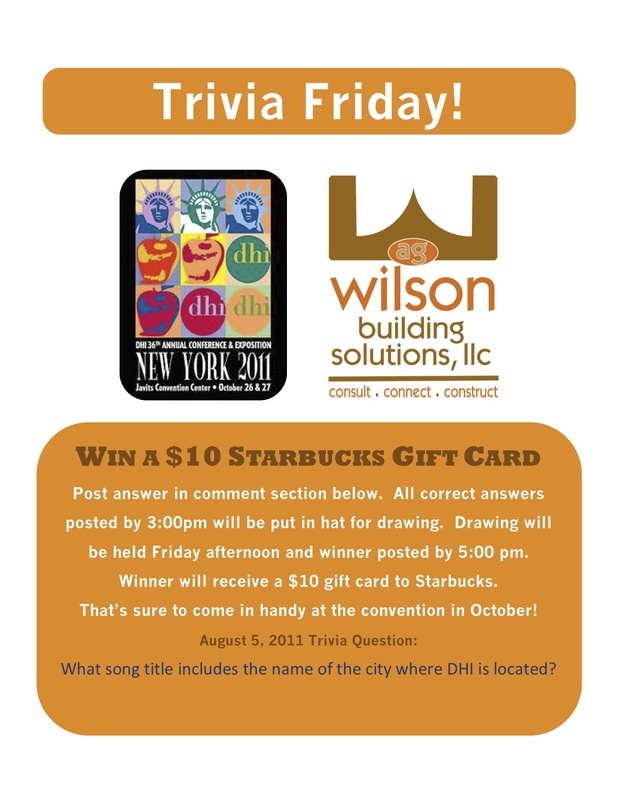 What song title includes the name of the city where DHI Headquarters is located. Yeah I was totally into all the New York New York songs..lol Oh well! Well hopefully that inspired you and made your Friday go by a little quicker! I will do better next week.